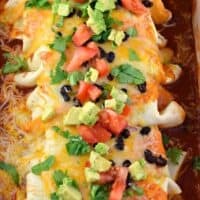 I love how easy these Chicken Avocado Enchiladas are to prepare, thanks to a few easy swaps in the recipe! One of the best things about this dinner is the ability to assemble ahead of time. It also makes 12-14 enchiladas, which means I can prepare two dishes in one day, and freeze one for another time! With my crazy, busy life, I love having dinners in my freezer ready to go! For today’s recipe, I used rotisserie chicken as one of my time saving tips. It’s quick and convenient. My grocery store also sells the rotisserie chicken already shredded and off the bone…even easier! If you’re a planner, you can also cook extra chicken one day, shred it and freeze it until you need it (like for this recipe)! I try to do this, but sometimes I find myself needing it more often than I’m making it, haha! Traditional enchiladas use corn tortillas, however my family prefers the flavor of flour tortillas. This recipe will make about 12-14 fajita sized tortilla filled enchiladas. If you want the bigger (burrito sized tortillas), you may be able to fill about 6-8 of those instead in one pan. I use TWO 9-inch baking dishes when preparing this recipe. One will go in the freezer once prepared, and one will go in the oven for dinner. For the dinner dish, you can make this in the morning, then refrigerate until ready to heat. For the freezer dish, once you’ve assembled the enchiladas, cover with foil and freeze. When ready to serve you need to thaw this completely. So take it out in the morning and place it in your refrigerator. Then cook according to the directions at dinner time. To make this a delicious MEATLESS meal, leave out the chicken. It’s still fantastic. You can add in a can of sweet corn (drained), and any other veggies you love! What’s YOUR favorite weeknight meal? Leave me a comment and let me know!!! 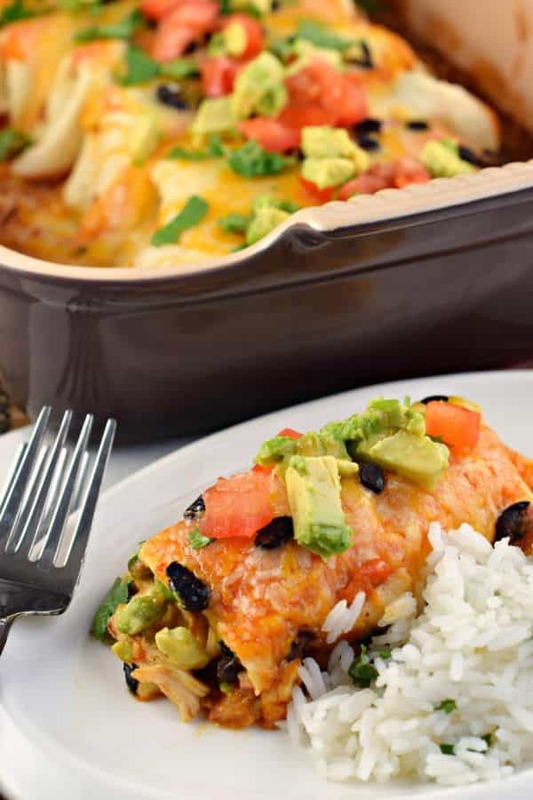 If you're looking for a 30-minute meal idea, these Chicken Avocado Enchiladas are the answer! 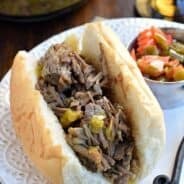 Packed with flavor and loved by all! In a large bowl, combine black beans, red onion, cumin, chili powder, salt, tomatoes, avocados, green chilies, chicken and 1 cup shredded cheese. Set aside. If making two 9-inch baking dishes using the 10-inch sized fajita tortillas, pour half a can of chili sauce in the bottom of each dish. Fill tortilla with desired amount of filling, roll up and place seam side down in baking dish. Repeat for all the tortillas. When done, pour remaining can of enchilada sauce evenly over the top of the two pans of enchiladas. Cover with remainder of cheese. Cover with foil. Bake in a 400°F oven, covered, for 15 minutes. Remove foil and cook an additional 5 minutes until cheese is bubbly and browned! Serve with desired toppings, such as salsa, tomatoes, more avocado, lettuce, etc! To freeze, prepare recipe through step 3. Place in freezer. When ready to enjoy, thaw completely by placing dish in refrigerator for about 8 hours (usually taking it out in the morning will make it ready by dinner time)! Continue with step 4. ENJOY. I’m a big fan of the flour tortilla enchilada too! There’s just something about the texture that gets me every time. 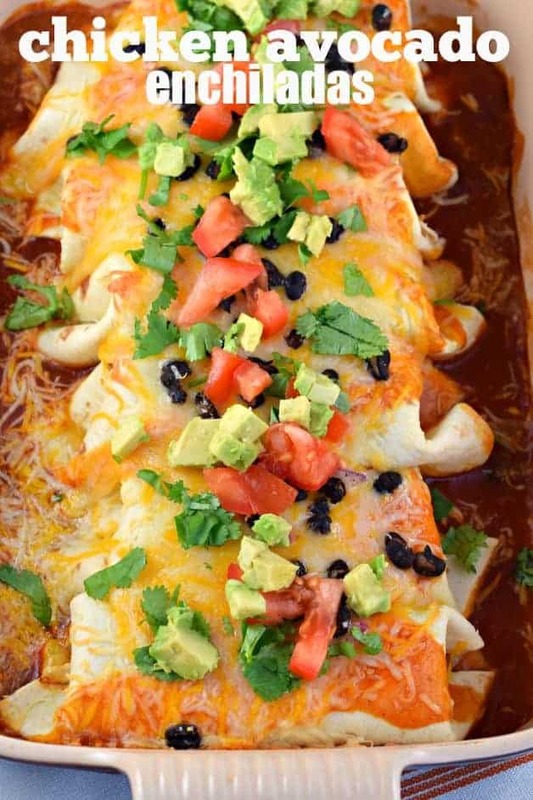 These enchiladas look absolutely perfect! And I’m loving the idea of preparing them as a make-ahead freezer meal. So brilliant! 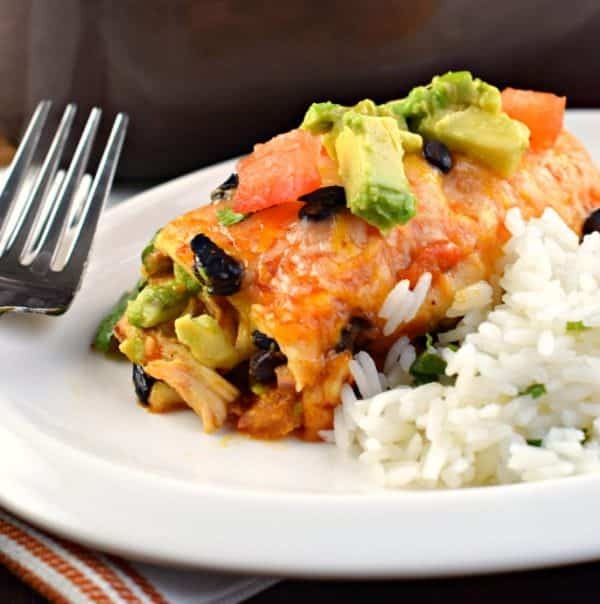 My family loves chicken enchiladas and this recipe did not disappoint! So easy to put together, too. Everyone loved these. The avocado put them over the top! Can’t wait to make again SOON! 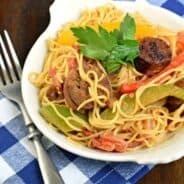 This recipe looks AH-MAZING! Thanks! yum! This is a perfect weeknight meal. My family is going to love it! 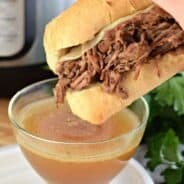 One of my go to meals! We LOVE enchiladas and these were perfect!